Over the past several weeks, City crews have been hard at work to prepare for the installation of the pedestrian bridge along Grand Avenue. 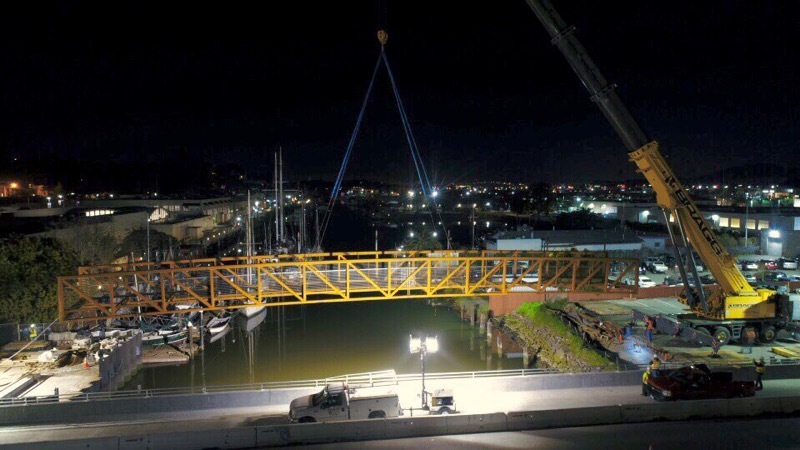 The new pedestrian bridge arrived on Friday, March 8 and was partially installed on Friday, March 15. Now that the bridge is in its proper place, light poles, sidewalk ramps leading to and from the bridge, and more will be installed. We’re excited to be improving mobility in the City and we expect the bridge to be completed and fully operational by Memorial Day! For updates, follow @sanrafaelDPW on Twitter or visit our website.